An 11 page PDF of scanned machine drawings for up to 60 horsepower with just half of the motor or up to 120 horsepower by building and completing both halves. 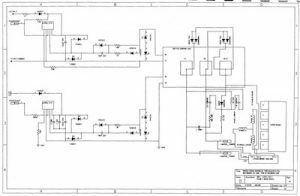 A 17 page PDF which contains scanned pages of electronic schematics of controller version 4. During tests the controller for this motor yielded 60 horsepower with less than 1 amp input at 48v for a COP of 932. Please note: This level of performance is advanced, requiring further knowledge of quantum engineering (polarized components and specialized tuning). However, competent engineers should be able to reach 200% – 400% overunity using conventional practices. 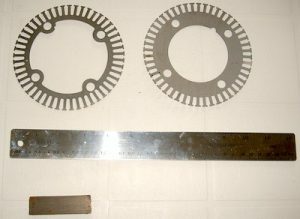 Scanned image of a lamination ring for the up to 500 hp motor with 3 colors of yarn showing how Ron wound the windings. Both sides scanned in color PDF. Source listed for blank or populated 3 phase circuit boards for builders. Familiarity of PCB fabrication and circuit function is important since the design utilizes older components which can be updated to more recently available technology. URL for just one off the shelf various hp, voltage and amperage controllers to compare others too for prices and features. Seven more photographs scanned into 3 images that are Ron Brandt’s photos. Ron used 10,000 hour bearings. Balancing is very important for the life of bearings and proper operation. Change out is very easy and simple compared to internal combustion engines. With plug in controllers, they could be replaced in an hour or less. Please understand that fabricating a sophisticated motor and controller is not a trivial task. 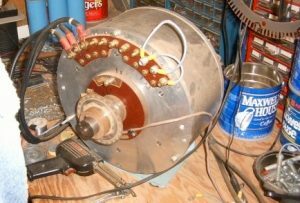 Machining the various rotor & stator parts, sourcing components, along with constructing the electronic controller will likely cost thousands of dollars – depending on the skill level and resourcefulness of the builder. Consider this before tackling this project. 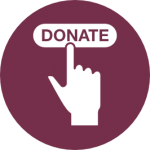 With additional donation, consultations are available and highly recommended. A set of drawings/plans with controller schematic for the 60 horsepower version of this motor. A set of drawings/plans with controller schematic for the larger 250 horsepower version of this motor. Double the power if both halves are built and implemented. This is the larger diameter, big brother. Both sets of drawings/plans with controller schematic AND 2 hours of consultation from our World-class engineer will get you started on the right path.